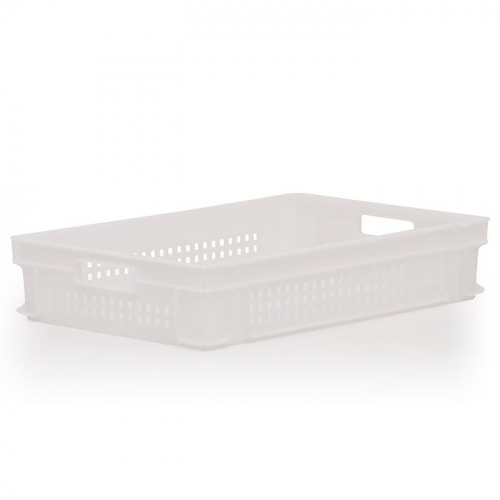 Available in a variety of colours and with an optional lid, this container is suitable for use in food-related environments, supermarkets, warehouses, factories and garages. 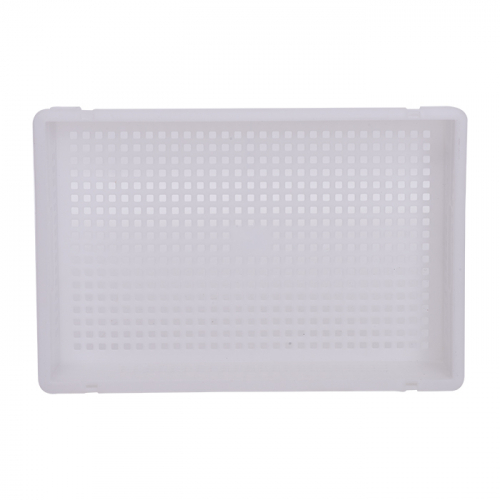 It features perforated sides and base to allow its contents to be well ventilated, ensuring they remain fresh. 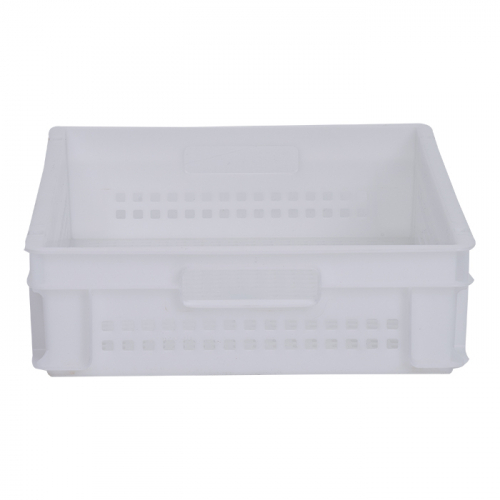 This container is supplied in white as a standard colour, however other colour options are available. Various colours allow multiple containers to be designated to specific contents and ensure the multiple containers and their contents can be easily and quickly identified. For more colour options, contact our sales team on sales@kingfisherdirect.co.uk or 01777 858009. The design features two handle holes on both the shortest sides of the container, allowing it to be easily handled. It is stackable with or without its lid, ensuring it is space-saving when not in use. 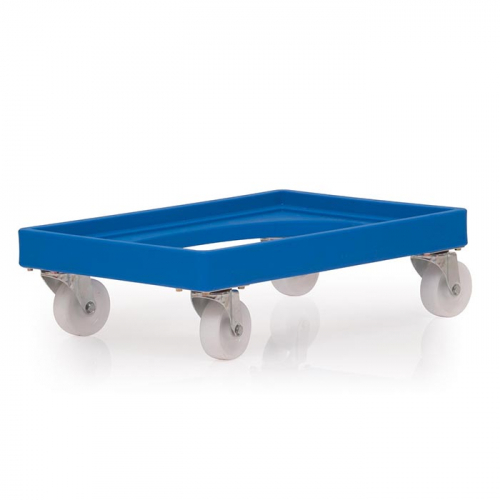 A dolly is available to allow multiple or heavy containers to be easily manoeuvred. 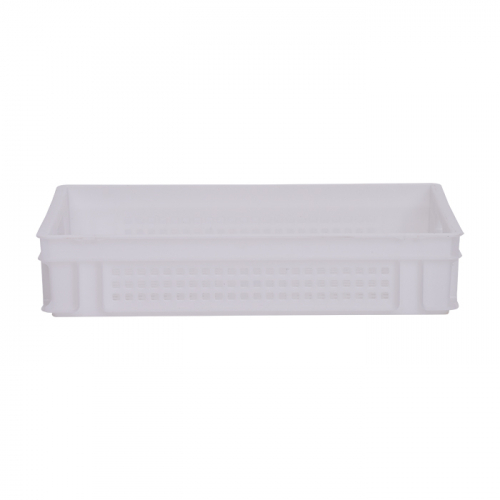 This is constructed from medium-density polyethylene (MDPE).